I can provide wholesale discounts for retailers starting at 30 kits. Higher discounts can be negotiates with higher quantities. Retail Kits are packaged in a 8x7x2 box with a full color label. None of the kits include tubing or tools. It is recommended that the retailer provide custom cut tubing and associated tools at their location. Delivery time can take between 4-6 weeks depending on quantity. Buyer pays all shipping costs. 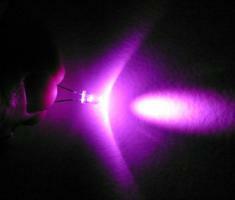 Wanting a quote on a for led kit.Would like to purchase 35 at wholesale rate. I would like to get a quote from you on 30 of the rechargeable kits (10 standard and 20 small). Thanks. I would like to purchase 30 rechargeable kits. I am just starting a business. I love hula hooping and give lessons. I have had numerous people ask to buy led hula hoops. I am working on my business plan and need to know what my supply cost will be. 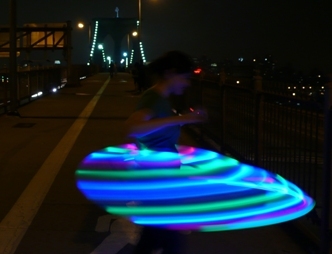 My wife is a hoop dance instructor and would like to sell LED hoops to her students. What is the wholesale cost for 30 kits? Please include what is included and what I would still need to purchase if anything? If I were to order more then 30 where would the next price break be? Just looking for an estimate on a wholesale buy of kits and such, the minimum of 30 or course. Looking to add to my inventory – i vend @ music shows all over country. Please e-mail me with pricing.